Much has been said about the rising debt levels in Canada, but have you ever wondered which demographics are most heavily indebted? 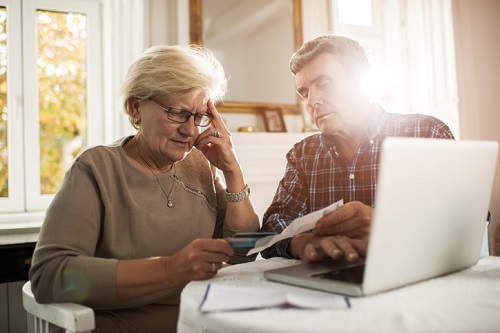 According to the 2017 data from Canada Mortgage and Housing Corporation (CMHC) and Equifax, more than a million millennials and many more older Canadians carried debts linked to their mortgages. As reported by Better Dwelling, over 1 in 10 Canadians have an ongoing mortgage, and this group is mostly composed of Canadians over the age of 35. Recorded figures of active mortgages sat at 5.94 million at the end of 2017. Examining the profile of mortgage holders, the largest segment belonged to those between 45 and 54, who held 1.604 million mortgages. The second largest division were comprised of those who are between 35 and 44, carrying 1.544 million mortgages. Millennials (aged 35 and under), meanwhile, have an estimated 1.009 million mortgages. Overall Canadians aged 45 and above accounted for 57% of the total number of active mortgages. In terms of the amount of mortgage debt they hold, younger Canadians has the most debt – this is something of a given, because they have had less time to pay off their home loans. What was more notable was that people aged 35 to 44 have $362.4 billion in mortgages, the largest cohort of mortgage holders. The second largest group is made up of those between 45 and 55, holding $326 billion in mortgage debt. Finally, Canadians over 55 still owe a huge amount of $277 billion on their mortgages. While Better Dwelling revealed that 1 in 7 millennial homeowners, has a mortgage, the data showed that older Canadians are still carrying a lot of debt, despite having built significant equity.